Musée des beaux-arts du Locle, Switzerland. Our vision of the world is photographic. 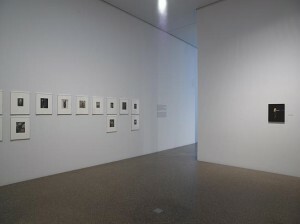 Since the birth of the medium in the 19th century, photographs have been entrusted with documenting the natural and built environments, both close at hand and further afield. 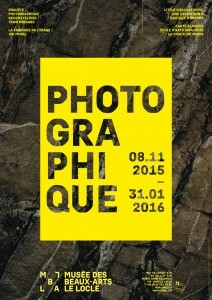 Neuchâtel’s photographic survey forms part of this tradition. 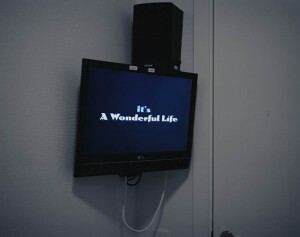 The origins of this biennial project lie in an initiative begun by La Chaux-de-Fonds’ city library. 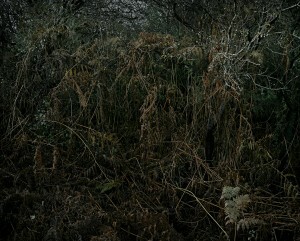 For this inaugural survey, photographer Yann Mingard has concentrated on detailed observation of the landscape. 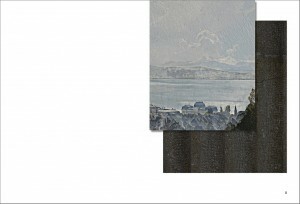 Travelling from Neuchâtel to La Chaux-de-Fonds , and closely following the intended route of the TransRun, Mingard investigates the landscape around Neuchâtel. 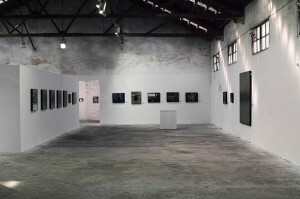 Through his images of transient spaces, the exhibition invites the public to consider the relationship between the canton’s “upper” and “lower” regions, cities and countryside, as well as the link between the lakeshore and the mountains. 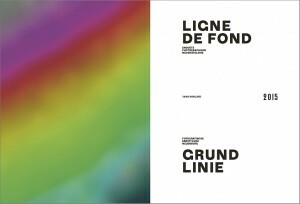 Ligne de fond [Bottom Line], created by graphic artist Thibaud Tissot and published by Scheidegger & Spiess, will also come out to mark the occasion. 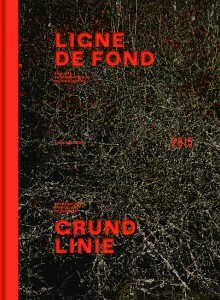 It brings together texts by Thierry Béguin, Jacques-André Humair, François Hainard and Nathalie Herschdorfer. 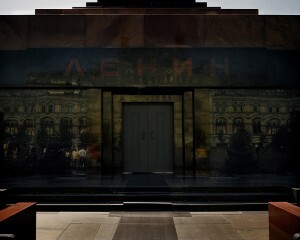 Via the works of photographers and artists, the  exhibitions intend to look these real situations in the face. Even if every reflection on the real always contains something fictive at the same time: Photography (photographers and artists) has always dealt particularly intensively, in recent decades, with social and economic relationships in today’s world. 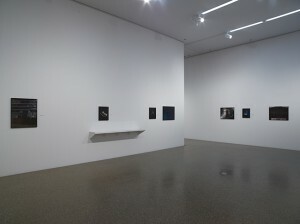 The crucial point of the exhibitions will be that it will not be classic photographic thinking that is brought to bear (pointing its finger, this thinking believes it can name the world’s problems and, through naming, solve them), but contemporary and videographic positions that get to work in these critical, precarious fields, that work inside them – questioning, seeking, testing, formulating. Featuring; Larry Sultan & Mike Mandel, Yann Mingard, Andrea Botto, Thomas Keen & Eyal Weizman, Mishka Henner, Simon Menner, Regine petersen, LA-X Collection Klaus Weidner, Tiana Doan na Champassak, Sara- Lena Mairhofer, Lukas Einsele, Miti Ruangkritya, Giorgio Di Noto, Tiphanie Mall, Joãn Pina, Cristina De Middel, Natasha Caruana, Murray Ballard, Edmund Clark, Arianna Arcara & Lars Sentese, Stephanie Solinas, Justice for Domestic Workers with Werker Magazine. 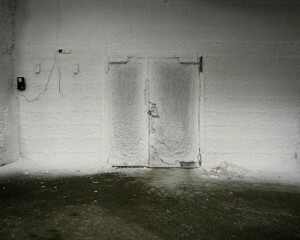 Curated by Lars Willumeit and Louise Clements. East Wing presents Surveillance.02, an exhibition of interdisciplinary artists whose practice incorporates camera, satellite, and drone to critique corporate and state surveillance, and energy production. Fueled by anxiety, anger, and humor, these artists document the various consequences of surveillance, and remix their findings as commentary. The featured works challenge the fluid notion of privacy, expose humanity’s permanent impact on the environment, and point to the major tangles at the center of it all: individual vs. type, convenience vs. security. The exhibition includes the premiere of a new audio / visual work by UK Artist Edmund Clark, « Dulce et Decorum Est: Virtue Unmann’d’. and a special screening of Stéphane Degoutin and Gwenola Wagon’s ‘World Brain’, a full-length film that operates as a hybrid of documentary, fiction, and how-to guide by assembling elements of science and folklore. Among the many subjects investigated are: data farms, the collective intelligence of kittens, high-frequency trading, and the law of the jungle according to Wikipedia. Special Screening on Tuesday 24 March at 19:00 (admission free – seating limited to book email: info@east-wing.org). 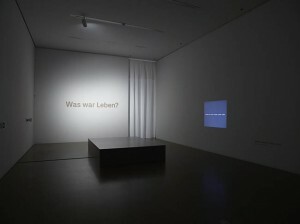 Cynthia Krell : Wie und an welchen Orten verwaltet die säkulare Gesellschaft ihr immaterielles und virtuelles Erbe und damit auch ihre Zukunft? Mit dieser Fragestellung hat sich der Westschweizer Yann Mingard beschäftigt und fotografische Antworten konstruiert - zwischen Sachlichkeit und post-apokalyptischer Fiktion. From 2009 to 2013, Mingard visited 21 locations in Europe where organic and digital data are gathered and stored. 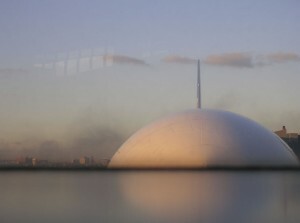 He photographed both the interior spaces of these seed banks, vaults and laboratories and the organisms themselves, the containers they are stored in and the instruments used for development and research. Deposit is a collaboration between Fotomuseum Winterthur, Museum Folkwang, Essen, FotoMuseum Antwerp and GwinZegal, Guincamp. 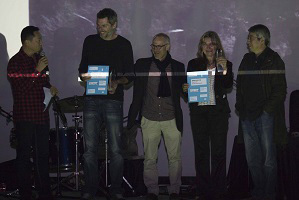 With support from the Swiss Arts Council Pro Helvetia. 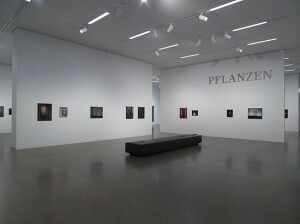 A video of the « Plateforme » at Paris Photo curated by Urs Stahel. DEPOSIT is a photographic project about hidden places, the strong belief in technology, people’s fear of the future and the presumption that storing and archiving gentic, biological and human data will make the future a safer place. 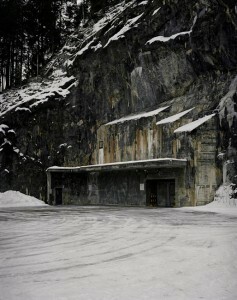 In his project, Swiss photographer Yann Mingard puts up for discussion the trust we put in technology. Between 2009 and 2013 Mingard visited 12 places where human, vegetable, animal, cultural and digital data is collected and stored. 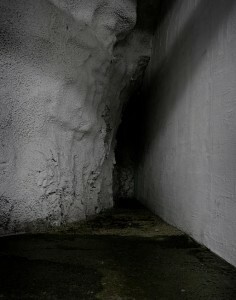 He photographed the architecture of these deposits, the landscape, the archived objects and captures the paradox quality of these places: In order to protect and preserve life, it is locked away in containers and stored in bunkers. Yann Mingard, born in 1973, studied at the École Supérieure des Arts Visuels in Vevey in Switzerland. 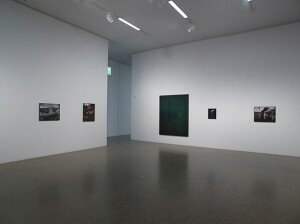 Fotomuseum Winterthur devoted a major solo museum exhibition to DEPOSIT in spring 2014. 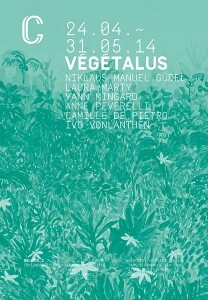 This exhibition traveled to Essen’s Folkwang Museum, where it will be on show until January 18, 2015. 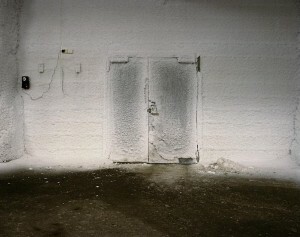 The book to he project was published by Steidl Verlag. How does our secular society manage its heritage and in doing so its future? 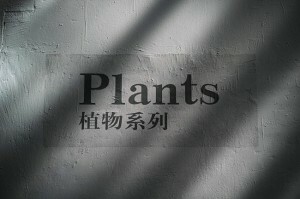 By collecting and archiving data with near-religious zeal: human DNA in the form of slivers of umbilical cord, dental samples and sperm, DNA of animals already extinct in the wild, the seeds of all manner of (agricultural) plants. And, of course, vast quantities of digital data that we leave behind on the big data highways of the internet, credit card statements and official registers. From 2009 to 2013, Swiss photographer Yann Mingard (born 1973) documented this avid pursuit of collection and storage in images that raise many of the unasked but pressing questions of our time. 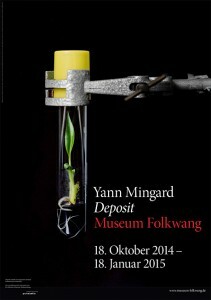 Deposit is being organized together with Fotomuseum Winterthur. 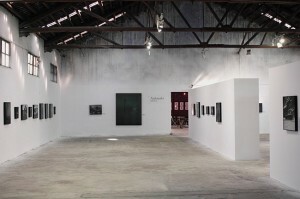 The exhibition was kindly made possible by Pro Helvetia. Avec / with : Pauline Aellen, Vicky Althaus, Yvan Alvarez, David Amaral, Jean Luc Andrianasolo, Yannic Bartolozzi, Mehdi Benkler, Matthias Bruggmann, Stefan Burger, Sami El Kasm, Guillaume Epars, Valentin Faure, Léa Favre, Matthieu Gafsou, Mathilde de Galbert, David Gagnebin-de Bons, Anne Golaz, Roberto Greco, Shannon Guerrico, Sandrine Gutierrez, Yann Haeberlin, Nicole Hametner, Cécile Hesse & Gaël Romier, Yann Laubscher, Olivier Lovey, Lisa Lurati, Mathilde Magnée, Yann Mingard, Aso Mohammadi, Laura Morales, Johanne Morrison, Giona Mottura, Eric Nehr, Marie Nussbaumer, Mathilda Olmi, Taiyo Onorato & Nico Krebs, Virginie Otth, Antigoni Papantoni, Jean-Noël Pazzi, Dylan Perrenoud, Augustin Rebetez, Jonathan Roessel, Paul Rousteau, Juliette Russbach, Diego Saldiva, Nicolas Savary, Charles de Senarclens, Tilo Steireif, Valentina Suter, Marie Taillefer, Vincent Tille, Christophe Voisin, Benoît Vollmer, Annabelle Zermatten. L’exposition Hordes & Nuées explore nos rapports à l’animalité. De l’esprit de meute dissolvant l’individu dans une impulsion collective, au pas de deux farouche des proies et des prédateurs, l’exposition sonde la dimension sauvage de nos penchants. Une parade fougueuse et charnelle où la férocité se teinte de tendresse, où la brutalité des gestes se fond dans la grâce des postures. Humains et animaux s’apprivoisent, s’esquivent, se convoitent, se dévorent, se domptent tour à tour. Hordes & Nuées rassemble cinquante-six photographes liés à l’École de photographie de Vevey – étudiants actuels et anciens en majorité, mais aussi intervenants et enseignants. 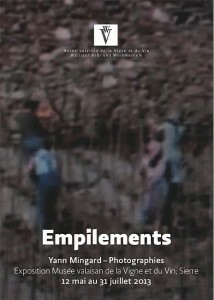 « La série Repaires de Yann Mingard (1973, CH), aux images apparemment simples et dénuées d’effets spectaculaires, questionne nos rapports actuels à la nature et nous invite discrètement à nous plonger dans un espace-temps devenu peu ordinaire. Dans un territoire restreint comme la Suisse, le paysage à l’état « sauvage », la nature vierge, existent-ils encore dans notre culture ou subsistent-ils uniquement sous forme de mythes – patriotiques, romantiques ou écologiques ? East Wing will present Yann Mingard’s, DEPOSIT at the upcoming UNSEEN – Photography Fair Amsterdam and Yann will be part of a panel discussion Fri 19th September/Time:15.45 – 17.30 Venue:Living Room. There will also be a book signing (details to follow) – watch this space! Entretien avec le photographe Yann Mingard (1973, CH) à l’occasion de l’exposition Deposit au Fotomuseum Winterthur (8 mars au 25 mai 2014) accompagnée d’une importante publication. La rencontre a eu lieu à Lausanne le 7 février avec Nassim Daghighian, historienne de l’art. Exposition collective à la Galerie C, Neuchâtel. 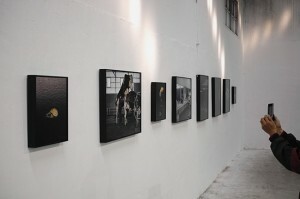 Vernissage, le 24 avril, 18h00. 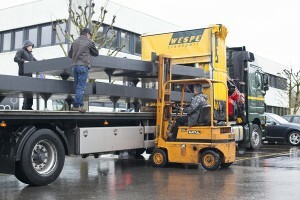 Four samples of Swiss parks will come and occupy the parking space on the Avenue Vinet, representing Basel, Bern, Geneva and Zurich in Lausanne Jardins 2014. The structure designed to contain these green fragments is known as the “Mobiflore”. 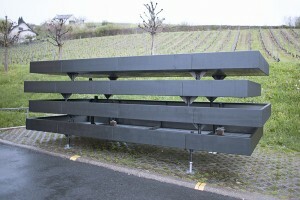 It is simple and can be easily adapted to fit a variety of parking situations. 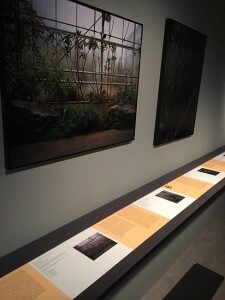 Each garden room comes with an image reflecting the extraction performed in the guest park. As a mirror in each town, the parks will present a photography of the piece of the garden installed at the Avenue Vinet. Comment l’humanité gère-t-elle son héritage? Comment conserve-t-elle son patrimoine, qu’il soit génétique, biologique ou encore numérique? 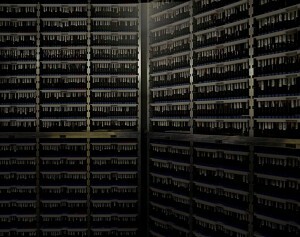 De 2009 à 2013, le photographe Yann Mingard a consacré son temps à cette importante question, traquant les lieux de stockage les plus divers. 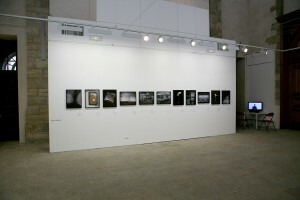 Il en résulte une exposition, au Fotomuseum de Winterthour, ainsi qu’un livre à paraître à cette occasion (chez Steidl). Les images sont regroupées en quatre chapitres: graines, animaux, humains et données. 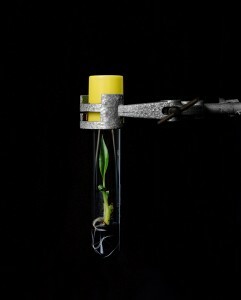 Y défilent, dans une esthétique extrêmement sobre et précise, un local de l’Institut de préservation des pollens à Saint-Pétersbourg, une banane cultivée in vitro à Louvain, un biberon de sperme d’étalon récolté à Avenches, le mausolée de Lénine, une banque de sang islandaise ou encore un data center suédois. 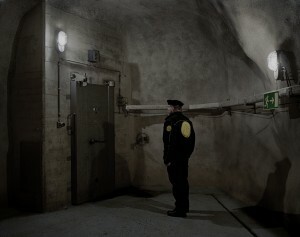 Yann Mingard s’attarde sur les portes blindées, les murs épais, les lieux six pieds sous terre et les bocaux parfaitement étanches; la vie qu’on enferme pour mieux la préserver. Un regard à la fois analytique et artistique sur l’un des enjeux de notre société, si prompte à tout mesurer et consigner. Le précédent travail du photographe romand consistait en une promenade dans les sous-bois (Repaires, publié chez Hatje Cantz), focus sur les épines d’un résineux, vue sur un tapis de feuilles mortes ou des branchages entremêlés. 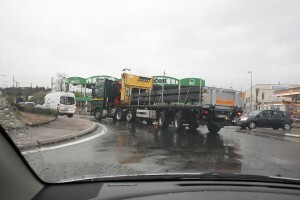 Parallèlement à Deposit – et jusqu’au 24 août –, se tient l’exposition Surfaces. 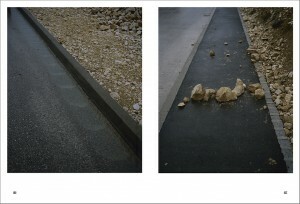 New Photography from Switzerland,dédiée à la manière d’appréhender la matière et l’imperméabilité. Deposit is a photography project that deals with the preservation of genetic material and other kinds of data. The development of our society is causing us to rethink the significance of our heritage. Collecting, archiving, storing, and risk management strategies—to no small extent these activities play on feelings of insecurity and fear. Banks for blood, sperm, umbilical cord samples, and stem cells are established under public or private oversight. Companies offer to freeze DNA or stem cells as a means of potentially healing future diseases. The same phenomena can be observed with computers and digital data. 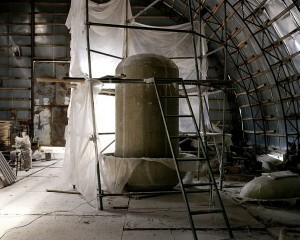 In his project Yann Mingard (born 1973), a photographer from the French part of Switzerland, questions our faith in these technologies, concentrating on the architecture, landscapes, and details of what is conserved. Between 2010 and 2013 he visited 21 central locations where one can trace the development of the preservation of human, plant, animal, cultural, and digital legacies. 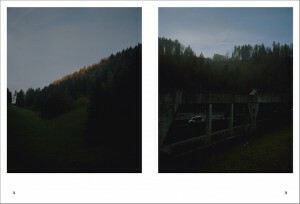 A co-operative production of the Fotomuseum Winterthur and Museum Folkwang Essen. Que représentent les murs en pierres sèches pour le Valais et ses habitants? Le photographe Yann Mingard a construit sa réponse à partir d’images existantes. En 6 affiches, il invite le visiteur à cheminer dans un monde pixellisé, entre nostalgie et réalité. 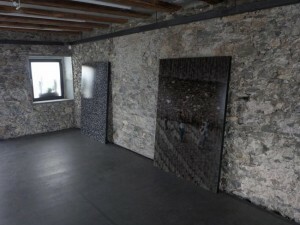 Cette exposition est le fruit d’une résidence de quatre mois à la Villa Ruffieux à Sierre. 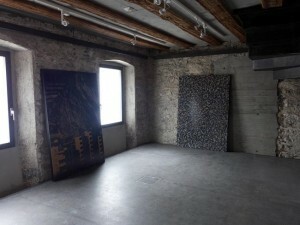 Exposition au Musée valaisan de la Vigne et du Vin, Sierre, Suisse. Avant-première à Soleure le 26 janvier 2013. Sortie en salle en Suisse romande le 27 février 2013. Ouverture du mercredi au dimanche de 15h à 18h30. The eastern border, which as the largely impermeable “iron curtain” once separated the Eastern Bloc from Western Europe, is now an economic border of the EU, a sharply monitored zone between the “rich” West and the “poor” East, which stretches alongside the countries of Estonia, Latvia, Lithuania, Poland, Slovakia, Hungary, and Romania. 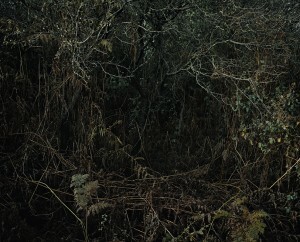 Many of the landscape shots, the first of three sets of photographs that make up the project, lose themselves in the vastness of the wasteland and suggest no trace of a border. Only the GPS coordinates lend a tangible starting point to the placelessness shown in the images. Two abstractions yield, as it were, one entity through the counter effect of the visual indeterminateness and the irony of the exact location as title, emphasizing the immateriality of the line of demarcation. In the second group of works, Portraits and Infrastructure, the abstract image of the border has a face (those of captured refugees) and a form (that of the technical, structural enforcement apparatuses). The anonymous expanse of the landscape is made real in the drama of the individual fates and the routine of the high-tech surveillance. 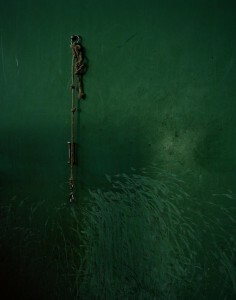 The work of Alban Kakulya and Yann Mingard goes far beyond mere documentation. 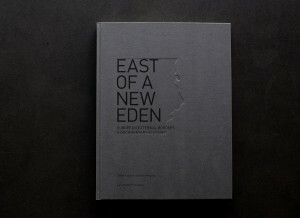 The multidimensionality of the focus of their expedition is reflected in the diversity of the book East of a New Eden, which brings together, in addition to the landscape and portrait shots, numerous satellite images of the border region as well as many texts from different perspectives. Ultimately the graphics and statistics complete the work; they illustrate how many people, in trying to cross the border to reach the promise of the West, lose their lives. With the almost complete abolishment of the interior European borders and the eastern expansion of the EU, whereby the westernmost countries of the East suddenly become the easternmost parts of the West, the “frontier” issue has not just moved geographically further away, it has also largely vanished from the minds of Western Europeans. In East of a New Eden Yann Mingard and Alban Kakulya endeavor to make visible and decipherable these little known and almost forgotten realities that are far from our everyday lives and beyond the headlines. It is at the same time an invitation to reflect on what borders are and what their consequences are for human beings. 1 Laura Serani: East of a New Eden: the borders of a myth. 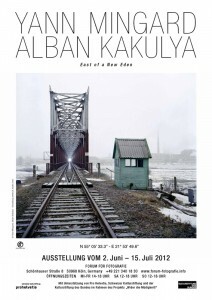 In: Alban Kakulya, Yann Mingard: East of a New Eden. Baden: Lars Müller Publishers, 2009, P. 76. La société occidentale contemporaine tend vers un idéal de protection, de sécurité et de bien-être individuel qui se déploie dans tous les instants du quotidien avec, parfois, des accents d’utopie. De projets urbains aux banques de conservation de sperme, des liens tissés entre monde végétal, animal et humain aux pressions sociales sur le corps, le réel est envahi par des idéaux qui restreignent les libertés de faire, d’être et de penser. The Breath On Our Back questionne ces enjeux à travers les travaux de neuf artistes. Si la figure humaine n’est que rarement directement présente dans les œuvres, elle est pourtant centrale dans l’exposition. La présence – ou l’absence – de l’humain permet ainsi d’interroger les besoins et les craintes d’une société peu à peu déchirée par un besoin de préservation qui ne parvient pas à éviter les écueils et les dérives propres à toute forme d’ostracisme social. Entre réel et fiction, The Breath On Our Back se place entre ce qui est montré et ce qui ne peut qu’être deviné : des prisons à de fictifs exercices militaires, de la codification sociale des corps à l’appréhension intime de la mort, chaque œuvre recèle des éléments à placer dans une compréhension globale du devenir humain. 2012. 96 pp., 33 color ills. 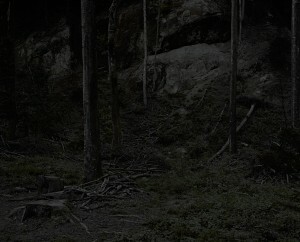 In a nutshell, the book is divided into three parts of landscapes, which successively get darker and more mysterious. 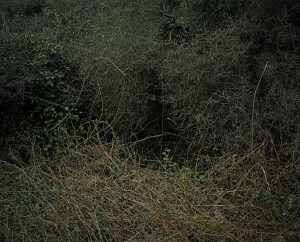 There are trees, or maybe small groups of them, grass, underbrush, pine cones lying on the ground – all of that contained in frames that at first sight appear random, but that aren’t random at all. I will admit that when I first looked at the book, I didn’t quite realize what was going on, but the fact that things got progressively darker, literally darker, drew me in. So I went back, looked at the book again, and I’ve been looking ever since. I will also admit that the final section of the book is my favourite. 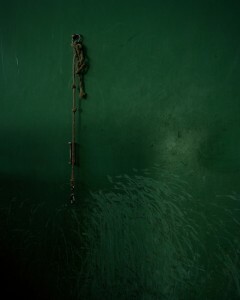 Here, the light is so low that it is very hard to make out details in the photographs. But they are there, and they are incredibly beautiful. And the darkness is no darkness in the sense of feeling: There are no threats here. These are landscapes at the edge of night. This might be when it’s time to head home – but if you stay behind, this is what you will see (experience). Here is, then, a book that maybe might make people not only look at itself more carefully over and over again, it might also make people look more carefully at what is outside, at whatever bits of Nature there are. One of the many qualities of photography is that it can make us look, it can teach us that there are many things to be discovered if we just look a little bit more carefully. Our senses are well developed to allow us to experience awe even when we’re not in the presence of grandeur. Repaires makes this very clear. A few words about production quality. 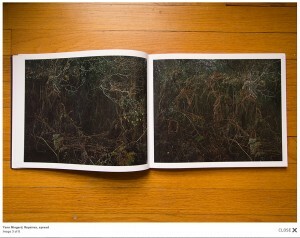 A photobook can be marred, if not ruined, by a sloppy or bad production (design, printing, binding, etc.). 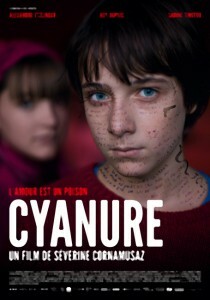 A good or excellent production, in contrast, does the opposite: It makes the photography shine. 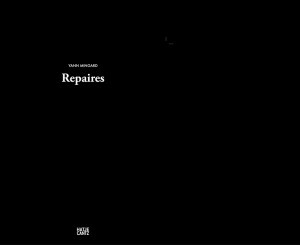 Repaires is yet another example of Hatje Cantz taking excellent care of all the relevant details. The print quality is very, very good – especially the dark images (the last third of the book) do not disappear in a mud of darkness as they easily could have. And while the overall format is classically conservative, there are various details which make this book look and feel contemporary, starting with the choice of cover, the treatment of type, and the fact that the cover boards have the same size as the pages. Technical note: The photographs of the spreads, in particular those of the dark images, do not do the print quality of the book any justice. Please keep that in mind.